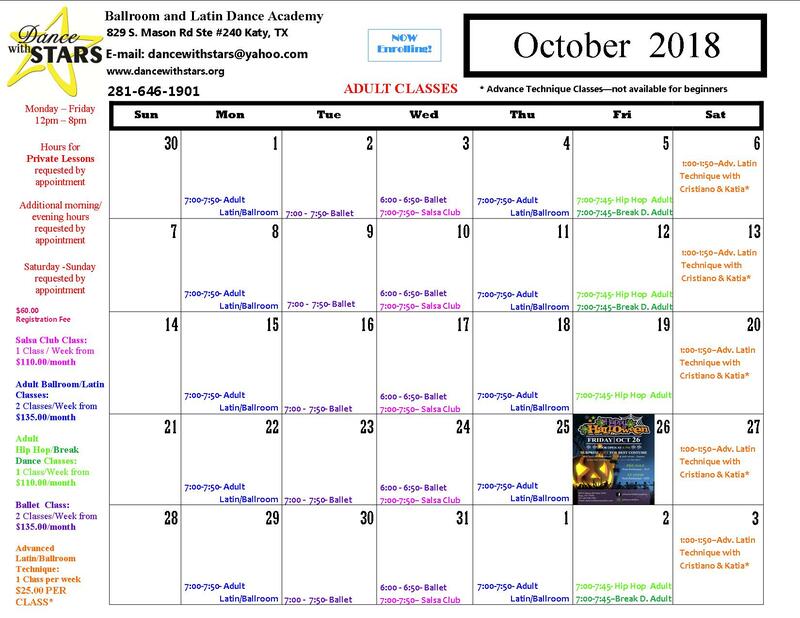 Our Adult variety class is a GREAT way to get you to learn a variety of dances so that you can feel comfortable on the dance floor at all times! Our instructors will teach you Lead, Follow, Posture, Rotation, Footwork, and much, much more! You will learn a variety of dances such as Rumba, Cha Cha, Waltz, Swing, Samba and SO much MORE!!! We offer Salsa Club dance classes for students with all levels of experience. You will learn how to dance Salsa, Bachata, Merengue etc. You will sweat, find new friends and have fun! This class is perfectly suited for students with or without prior salsa dance experience. 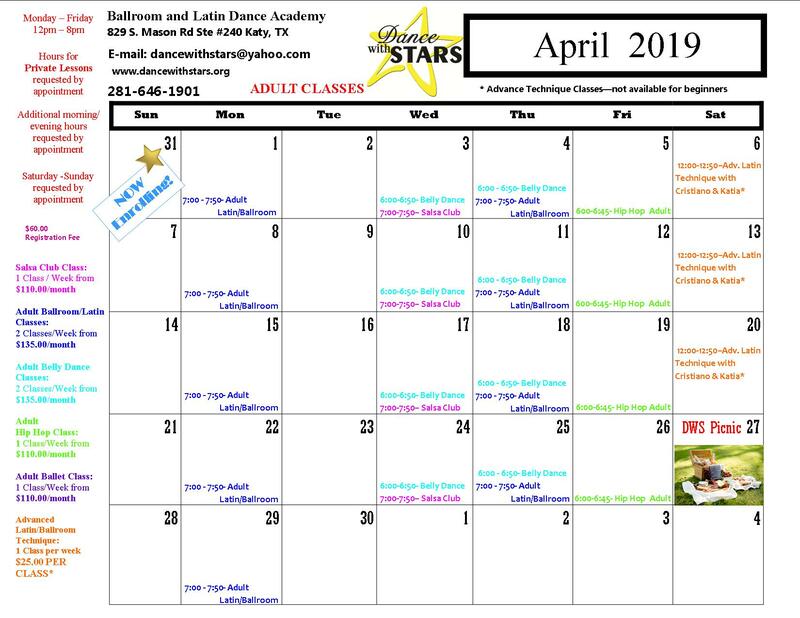 You will learn to familiarize yourself with the music, dance the basic steps and learn simple combinations or more advanced steps to enjoy your solo (Salsa Shines) or with a partner (Turn Patterns). Combination of all will help you to style and incorporate body movement while dancing. Salsa Club Class teaches Cuban-Latin movement, characterized by fluid and expressive motions and a dancer’s personal interpretation of the beat. It introduces students to the typical motions of Cuban and other Latin Folklore styles while providing historical and cultural context. The workshop is a great opportunity to build control over body movement, improve musical and improvisation skills, and to learn to apply this knowledge outside of the classroom and to other forms of dance. You’re at the club or in a dance battle, your favorite song comes on but your so-called sick moves are a little lacking. Don’t worry, come to DWS Academy. Our class is filled with fun and excitement along with knowledge about Hip-Hop. We will teach you trending basic and advance movements to help you stand out on the dance floor. TOPROCK, GET DOWN DROPS, FOOTWORK, FLOORWORK, DOWNROCK, BACK ROCKING, THREADING, FREEZES, POWER MOVES, SPINS, ACROBATIC TUMBLING etc.